Bonorong is an exceptional wildlife sanctuary by any standards, providing critical services for threatened and injured native Tassie animals. It was seriously inspiring and also quite moving to hear the stories of animals currently in the park’s care. It was an absolute joy to to get up close and personal with so many of the animals during the Feeding Frenzy Tour, which I absolutely recommend. 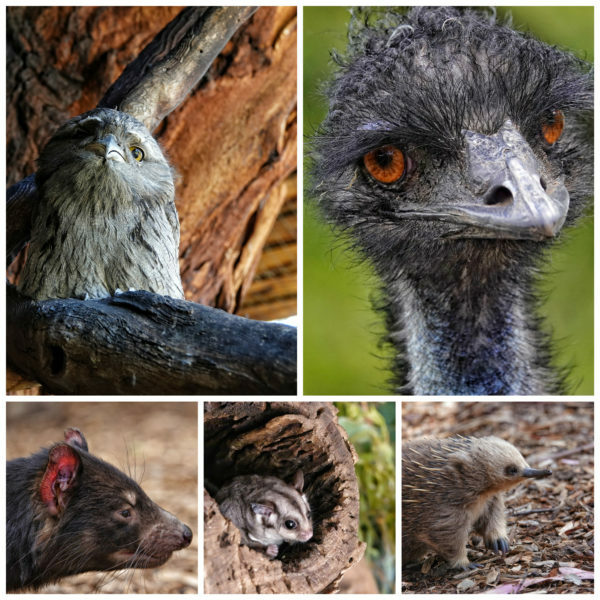 Hand feeding Echidnas, tussling with a Tassie Devil over a piece of meat, and a whole lot more! Thanks especially to Robyn for a GREAT afternoon experience. If you’re visiting Southern Tasmania, Bonorong is a MUST VISIT. Don’t be like Mr Dickhead who wrote this review on Trip Advisor because he didn’t get to see a Tassie Devil within his first ten minutes at the refuge. That’s seriously not cool, and well let’s be honest pretty dumb. Instead allow plenty of time to experience the animals when you visit Bonorong during the day as Aussie critters are nocturnal… yes really who knew! Be patient and you’ll enjoy the rewards. Support Tassie’s furry friends in need, along with the passionate staff who care for them by visiting Bonorong.